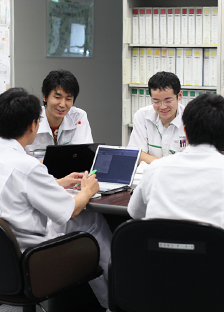 In order to accommodate various requests and wishes of our customers, Nidec has established QCDSSS (Quality, Cost, Delivery, Speed, Service, and Specialization) as the basis of our business activities, and all R&D, production, and sales departments work as one to further improve customer satisfaction and build a relationship of trust. Through collaboration with our suppliers, we promote CSR-based activities not only within Nidec, but also the entire supply chain. 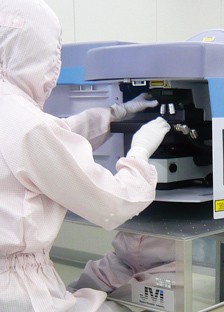 Nidec pays respect to the local culture and customs of the country or area we work in. We state in our CSR Charter that we "harmonize with communities" and engage in various corporate activities accordingly. Nidec is working hard to create ideal working conditions with due respect paid to diversity and based on our three principles of behavior of "Enthusiasm, Eagerness, and Tenacity," "Intellectual Hard Work," and "Do it now; Do it without fail; and Do it until completed." Nidec intends to respond to our shareholders' expectations with maximum shareholder value by achieving high growth, high revenue, and a high stock price over the long term. Advocating international guidelines, Nidec addresses constantly diversifying human rights issues.